Scroll down to view photographs of my therapy space. Numerous hypnotherapists are listed, so why choose me? I am a published author, 'A Creative Guide to Therapeutic Metaphor', a contributor to the Hypnotherapy Journal, (published articles are pictured below, please scroll to bottom of page). I tutor other therapists in therapeutic metaphor and am a qualified Kinetic Shift Practitioner. I practise from two locations, namely York and Wetherby. We talk in depth about your issue, belief systems and attitudes towards the problem you face. Then using what you tell me, we work together to uncover the root cause and find workable solutions. My unique approach reflects this. After session one, I create bespoke hypnotherapy content specifically for you. My words are recorded, allowing you to continue your therapy at home, creating an experience which is completely different. This means no two clients are ever treated using the same hypnotherapy scripts, this approach is quite rare in the industry. 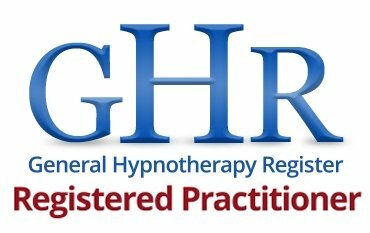 Enabling you to repeat hypnotherapy at home between appointments. This saves money overall by reducing the number of sessions you need. You are unique, as is my approach. I place successful outcome and quality of service above financial reward. My reviews, detailed further down the page, speak for themselves. You may be wondering if hypnotherapy will suit you, particularly if you're presently a little sceptical, vulnerable, or lacking confidence. Why not put yourself at ease by calling for a no obligation chat before deciding whether to progress. A comment on fees: When exploring profiles/comparing fees, be sure to research what’s included. Consider, it's better to pay a sensible fee for a successful outcome in only 3 sessions, than pay less but make little progress after several. Ask whether recordings are given, in my view these are vital in allowing repetition of therapy between appointments. As a comparison, consider the cost of servicing your car, are you not worth the same care and attention? My background in creativity and empathetic communication: I am an intuitive therapist earlier in my career I taught communication skills and creativity to special needs, enabling me to build strong foundations in effective communication. Nowadays I focus full-time on clinical hypnotherapy, working out of my home west of York and from Pure Treatment Rooms in Wetherby (please scroll down to view image of my home therapy room). Dedication to continued professional development ensures my approach remains fresh, I am continually upgrading my skills and expertise. Your inner voice can be your best friend or your worst enemy! Together we will work to re-awaken the best friend, helping you to help yourself! Digital recordings of each and every session, incorporate my voice and gentle therapeutic background sound. The recordings enable you to re-listen frequently, helping you stay completely focused between visits. GHC registered. Fully qualified. Comprehensively Insured. Please scroll to view some of the issues I deal with and call if your issue is not listed! Appointments available Monday to Friday and some Saturdays from 10.30 a.m.
NB: If your issue requires expertise beyond my ability, I will be honest enough to refer you. What will happen during our sessions? We spend time discussing your issue and related feelings and beliefs, you can elect not to tell me painful detail if you wish as we can deal with this using metaphor. The amount of time spent at interview is dependent on how complex the issue is. I then guide you into a gentle relaxation/hypnosis, making positive suggestions aligned with your inner processing to awaken subconscious response. You simply relax, wear comfortable headphones, reclining fully or slightly, gentle therapeutic background sounds accompany my voice. Following the session, you have a refreshing drink and go home with a recording to help embed positive suggestion. The recording is of particular value to clients who relax more easily at home and saves you money by shortening the process overall. Depending on the issue, number of sessions vary, (on average therapy is between one and four sessions). 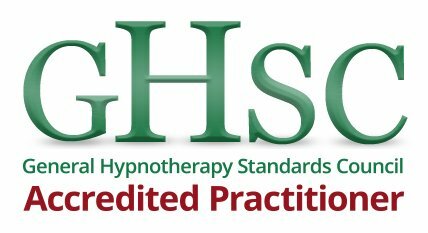 Experienced, fully qualified, and registered to practice clinical hypnotherapy and kinetic shift, I hold the recognised qualifications listed below. To avoid baffling readers, I have listed only widely recognised certificates. If your issue is not ticked then please call me to discuss. Please Note; If I have not ticked a box above, this does not mean I am unable to deal with it, it simply means I have not taken extra qualifications in that area. N.B. I no longer deal with smoking cessation. As proof my testimonials are genuine, they have been extracted from my recently published book (publisher - Ann Jaloba - February 2018). Testimonials cannot legally be printed by a reputable publisher without the express permission of the contributor. IF YOU WISH FOR A VERBAL TESTIMONIAL FROM A PAST CLIENT - please ask me to provide a telephone number, I will be happy to do so. My fee per single session is £75 (first session lasting up to 90 mins (can be longer with complex cases). Subsequent sessions average 60 – 70 minutes. Fee includes support between visits via email, to ensure you get maximum benefit from therapy. Digital recordings enable you to re-listen as often as you wish. Averaged over 3/4 sessions, cost per hour is circa £45. When researching fees, a word of warning: It's better to resolve your issue in 3 sessions @ £75 than pay £50 for therapy that drags on to 6 sessions. An initial telephone chat is free! Busy Stressful Life? - Enhance Wellbeing with a regular Deep Relaxation appointment. Choice of various generic relaxers that fit into a lunch hour. Designed to fit into a busy schedule - price: 30 minutes £30. (no therapy included). For further information please visit my website www.clearstepshypnotherapy.co.uk or give me a call on 07584 119670. Mon - Sat from 10.30 a.m.